Home » Homepage » OpenSimulator 0.6.3 – The Stability Era? Granted, I know I’m biased 🙂 I like bleeding-edge technology, specially when it works; and I’m not trying out OpenSim for “political purposes” of any sort. 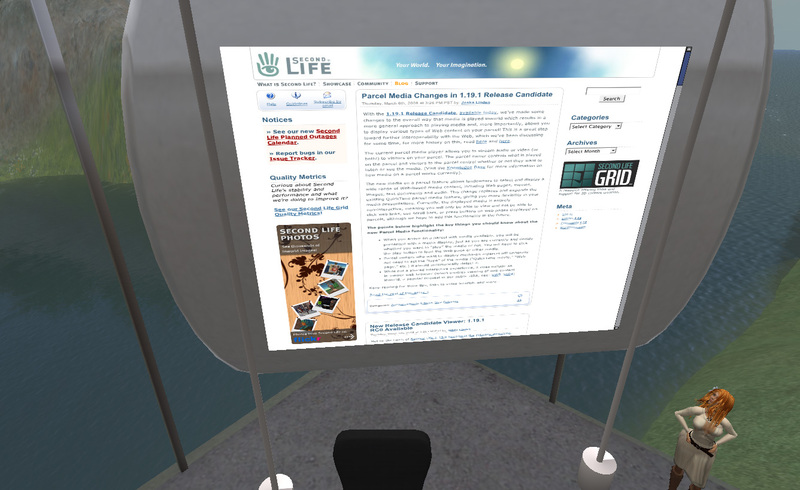 As I keep repeating to friends, colleagues, and clients — OpenSim is cool, it’s even useful, but forget about “a cheap alternative to Second Life”. All what you save on not paying tier to Linden Lab goes into improving the hardware and bandwidth of your own servers, and, mostly, in spending long hours in tweaking the configuration and making sure your grid is running at all. The pitiful centuries-old Pentium IV with merely 512 MB of RAM that used to host Beta Technologies‘s OpenSim grid had been allocated to a different project for about two months. That meant two months of patiently delaying all my current work on OpenSim (mostly related to my mastership degree and a few customer’s experiments). By Friday, at last, I was allowed to push all the thingies from that other project away, clean up the mess on the old faithful server, and take a look at OpenSim again. I’ve missed most of OpenSim’s recent fun. Version 0.6 was finally launched, but that was months ago (for your information, version numbers have some logic: 0.6 means that 60% of all LSL functionality is implemented); when 0.6 was launched, we had a real project for a real client using OpenSim, and thus it was not appropriate to do a grid upgrade during that time (how wonderful it would be if you could do the same on LL’s grid!…). But now it would certainly be a good excuse to bring OpenSim back to the latest version! I’ve tried to dig around the newest features on OpenSim. My usual source is Justin’s blog, but as you can see, every week there is something new in OpenSim — bugs fixed, features added, every week after week after week after week. I saw that OS Grid got a working economy (or at least I think so; why is it ever so hard to google for information about OpenSim??) and missed all the excitement about that. But I wasn’t aware of any earth-shattering announcements. 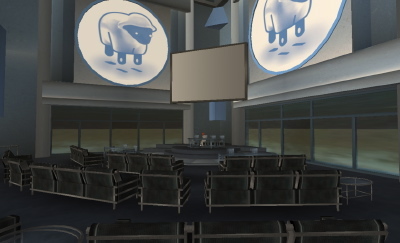 People on the OpenSim source forge have been hammering away at the code… in silence. Well, I thought I’d go for some dramatic changes. Upgrading an OpenSim Grid, even a two-server one, is a very painful experience. Since the developers have pretty much thrown every kind of file on a single directory (./bin) it means that newer versions will override older ones. Although things are getting better (a lot of config files have become obsolete), there is still the master config file to deal with: if you copy the old one over the new one, you’ll lose sight of the cool new features and the ability to activate them… so for me that means opening the old config file and the new one, and looking at each setting, one by one, to see which one has changed. The next issue that almost everybody will think about it… what about my database? Will it be still compatible? OpenSim, like many modern software that deals with constant tweaking, tries to patiently upgrade older databases to the most recent scheme — automatically. So far, I have been lucky — not a single prim was lost! They warn impatient OpenSim users that they should do regular upgrades, since upgrading from way old installations might fail. Alas, if you’ve got all the time in the world, don’t have a job, and do nothing else but install OpenSim and play with it, you can afford to do that. The rest of the world has to cross their fingers and hope for the best — upgrading, say, 3-4 times a year, if you can spare the several hours for upgrading. Since I had thoroughly tested it with the “everything on the same server” approach, I tried this time the reverse approach. 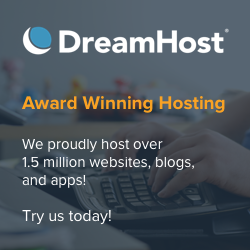 I’m a customer of Dreamhost (where my blog is hosted), and they have a separate cluster of MySQL database servers — for thousands of their clients, many of which are always abusing the system with badly-formed queries. So this would be the real challenge: would moving the database out of my underpowered server into a overcrowded, dedicated MySQL server on a different data centre impact performance in any way? And would it be “better” or “worse”? Sadly, system administration is more an art than a science. I reasonably assumed that getting rid of MySQL out of the underpowered server would have two advantages: less memory consumption (and when you only have 512 MB of RAM, that is a serious consideration!) and less disk accesses (remember, if you exhaust your RAM, your poor system will use the hard disk instead — which is a thousand times slower). It would add two new problems: Internet connectivity (who knows how bad it can get) and a shared environment with thousands of unruly, abusive users. I was bold enough to give it a try, though, since there are two worst-case scenarios: 1) Dreamhost’s MySQL is way too bad; 2) Dreamhost’s MySQL is good enough, but they block my account due to very intensive use (they do that sometimes). In both cases it will mean migrating back to the old, underpowered server. My the first impression was not a very good one. Lots and lots of “sleeping” threads on MySQL. Oops! I hoped that Dreamhost’s system administrators were looking the other way, they hate when that happens. Apparently, OpenSim tries to keep as many threads open on MySQL as possible, using them “on demand” and letting them sleep while they’re unused. It’s a good compromise — wasting some memory for “always available” connections — but it naturally leads to possible abuse. Still, it doesn’t seem to open more than 30 or so threads, and MySQL will close them down after 15 minutes or so anyway, with little impact — so I guess I’d be safe. And now, it’s time to experiment! I teleported over to the 8000-prim nightmare of one of my previous projects (you can take a look here on how long that used to take to rezz). And… whoops, everything was pre-rezzed already?! I was flabbergasted, but then I remembered that the current versions of the Second Life client are way better at managing a local cache. So probably I still had all those objects from my last login… two months ago. Imprudence to the rescue! Cleaning up the cache, making sure it’s not on the same directory as the main SL viewer on my Mac, and I was ready to try it out, this time, making sure that I was really downloading things from my OpenSim grid. So what’s going on here?? Enter the new, improved OpenSim. The hugest difference from what I’ve seen in previous ones is a new caching model (which you can fine-tune from the configuration file). Now OpenSim tries to think and behave a little bit more like Second Life’s own simulators. It looks at for how long a linkset has been around without being tweaked: if several minutes have passed without a change, it becomes “persistent”, and it’s moved to a special, local cache (no need to fetch it again). If it’s been days since you have last changed a linkset, it even goes to a “more persistent” cache. Objects on those don’t require much validation — e.g. checking on the database if they’re moving around, or their settings being changed, and so on — so they’re “always ready” to be served. The result is, of course, astonishingly good — and blindingly fast! I’ve walked a bit around the same scenario that you saw on the previous movie. The difference here is that in just a few minutes, 8000 prims — with textures — had been downloaded and stored on a cache-cleaned SL client (you can get a stopwatch and watch the movie to see how quick that was). To give you an idea, sometimes I had to wait an hour on previous OpenSim versions to get all those 8000 prims, and I had to do several “dirty tricks” like forcing a refresh (server-side). Sometimes, a few prims would never appear (the builder had often redone the very same walls, and the flicker you see is where she basically put one wall exactly on top of another, simply because she couldn’t see if that wall had been rezzed or not). Granted, once everything was safely stored on the client’s cache, things would work well. I tp’ed over a colleague of mine, half an hour or so after this video was shot. He rezzed on the neighbouring sim, and I gave him some inventory objects, and we chatted a bit. Then I told him that the only thing worth seeing was at the other side of a mountain we have there. As he walked the mountain up and down again — everything was perfectly rezzed. A chat, an inventory offer, walking up and down a mountain. That’s enough to download 8,000 prims and textures! So, yes, that was a huge improvement. Congratulations to the OpenSim developers. Now, you can change scripts on-the-fly inside objects. Previous versions were a bit tricky: you needed to create them in your avatar’s inventory first and drag them to your object. A minor inconvenience, but it was the OS-do, or The Way of OpenSim 🙂 This version allows it to work just like in SL — and OpenSim correctly detects when a script was compiled under one engine and warns you if you’re running it on a different one, recompiling it on the run. And it’s also way faster, even with debug mode on, which they warn it’ll be “a thousand times slower”. (Oh, btw, you can also create clothes from Appearance Mode. It’s not yet exactly how SL works — the item appears immediately on your avatar’s inventory, but you don’t wear it automatically — but… it’s getting there). And sim border crossings are now almost as flawless as on Second Life. This actually quite impressed me, since it’s one of the most hardest things to do. Waiting a minute to walk across a sim border was something not unusual, and, taking into account that a contiguous landscape across simulators is the hallmark of Second Life, replicating it on OpenSim was something I was not hoping to see to be done so well and so soon. Indeed, most people will now be able to walk/fly across region borders in OpenSim and not notice any difference from the same experience in Second Life. It’s almost the same imperceptible delay! I’m pretty sure that there are a lot of under-the-hood developments. I wish I had more time to explore, for instance, how everything ties into the economy server. I was amazed at looking at the “graffiti” board: an OpenSim-only implementation that allows text to be displayed on a texture’s prim, which is way better than using hovertext. It’s not a new feature of OpenSim, it’s been part of it for a while, but, alas, something I haven’t been able to play with it. Oh, and there are a lot of things, like the ability to ask the server for a lot of information from a web page, without using LSL or a bot. In fact, I believe that pretty much every so-called “ethical” use of ‘bots in SL can be done in OpenSim in a different and much easier way: getting land data, parcel info, number of prims, metrics and statistics, and so on — all these have special requests to ask for data which can easily be retrieved via simple HTML calls. Hypergrid support has also improved. Now, if you know about a Hypergrid-enabled OpenSim grid, you can just log in to your grid, and follow a simple secondlife:// link — and you should be on your way. It couldn’t get easier than that. It’s amazing how simple Hypergrid has become, when you compare it to the insane amount of time spent on the standardisation effort at MMOX. Oh, and as always, you’ll be drooling at how little bandwidth OpenSim continues to use. I was expecting that, as the SL viewer complexifies, and as OpenSim gets more and more features, your bandwidth consumption would increase, since more messages between the client and the server are transmitted (for the extra features). Not so: when everything has been downloaded, and is safely stored in your cache, and you’re not moving at all, but just looking around, your bandwidth consumption will be… zero. As it should be!